It sounds unbelievable, but 30% of burglaries in the United States occur when a criminal gained access to a home through an open door or window. Many Americans forget the role that windows play in securing our homes – but whether windows are new or old, whether they are locked or not can make a big difference for home security. The newer the windows, the easier they are easier to open – and the older the windows, the more likely the homeowner is to neglect their upkeep. But there’s a solution for both these scenarios: connecting windows to the home security system, so they can be protected from home invasion no matter how new or old they are. When sensors are placed on windows throughout the house, this connects them to the home security system. If the homeowner has armed the system while everyone is gone for the day or sleeping at night, then the sensors will trigger the alarm if a window is being tampered with. The same sensors can be placed on the exterior doors of the home: front door, back door and garage door. When all entry points to the home are connected, it’s like having a round-the-clock guard protecting your home from invasion. People are busy, and homeowners are the busiest people of them all. Not many people take the time to walk around the house and make sure windows are locked; with standard, unconnected windows, the home could be unsecured via an unlocked window for days, even weeks. Sensor-connected windows are designed to prevent that from happening. The contact sensor placed on the window is connected to the home security system, so that if a window is opened while the system is armed, the alarm will be triggered. Of course, sensor contacts should also be placed on the front and back doors to afford them the same protection. If the security system features smart home protection, then there are even more benefits. The smart windows and doors – in addition to lights, locks and even the thermostat – can all be controlled via the home security mobile app, which homeowners access with their smartphones. Of course, the security system is controlled this way as well; that means a homeowner can turn off lights, set back the thermostat, lock the doors and windows, and arm the security system with a single tap of their mobile app. It’s simple to create a “scene” command on the app that does all these things at once. 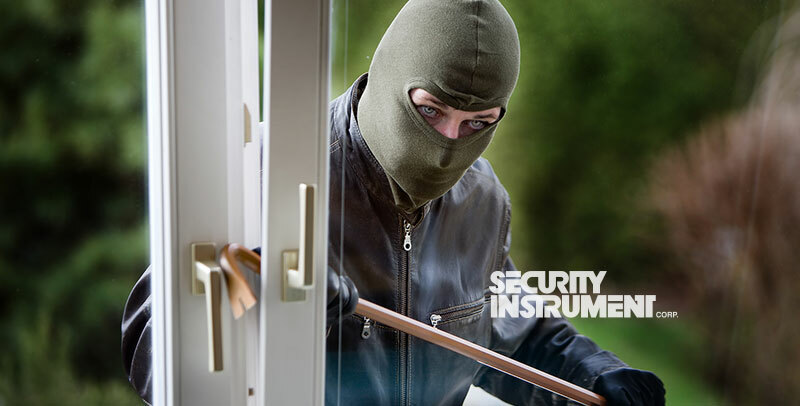 To learn more about this easy-to-use smart home technology – or, to discuss door and window sensors designed to prevent home invasion – contact Security Instrument for a complimentary home security evaluation. Security Instrument is a full-service, independently-owned integrator that offers numerous home security options to prevent home invasion. In Delaware Valley, Security Instrument serves thousands of customers located throughout Delaware, MD, NJ & PA.